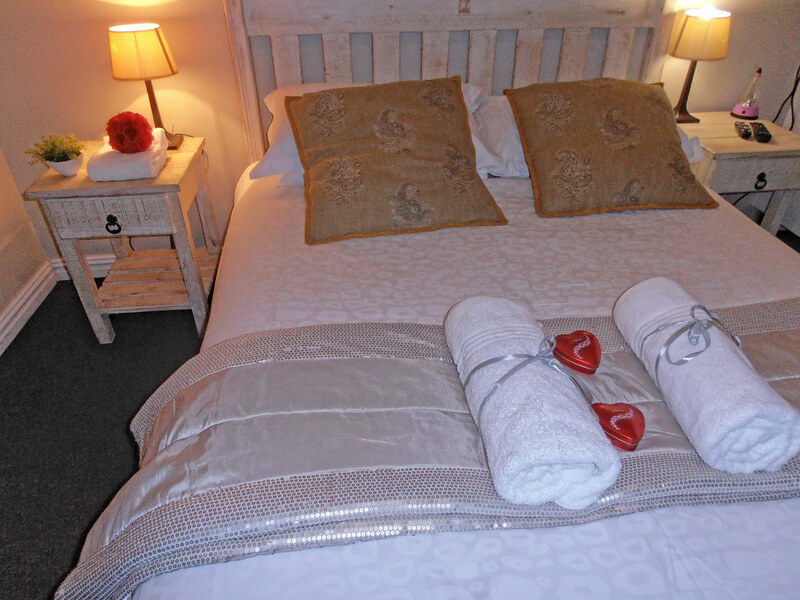 With a choice of double and self-catering rooms out of five rooms, you are spoilt for choice. 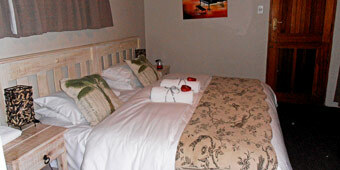 Our newly and individually decorated rooms have Luxurious Egyptian Cotton Linen to ensure you have a wonderful sleep. 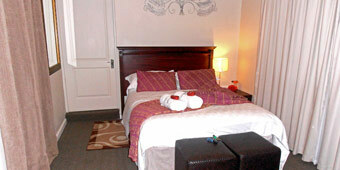 Attention is paid to detail in the decoration of the rooms, all you have to do is enjoy the comfort of the rooms. Please refer to Q&A for detailed room provisions. 08:00 am - 09:00 am on weekends. This room sleeps a maximum of two adults and one child less than 4years. This room has a DOUBLE bed and all room provisions. You can relax in our room while taking in the beautiful garden views and the sparkling pool. Sleep off the day in luxurious comfort in-between 500TC fitted sheets and 400TC flat sheets topped off with a 320TC duvet cover. This room sleeps a maximum of two adults and one child less than 4years. This room has a QUEEN-sized bed and all room provisions. You can relax in our room while taking in the beautiful garden views and the sparkling pool. Sleep off the day in luxurious comfort in-between 500TC fitted sheets and 400TC flat sheets topped off with a 320TC duvet cover. This room sleeps a maximum of two adults and one child less than 4years. This room has a KING-sized bed and all room provisions. 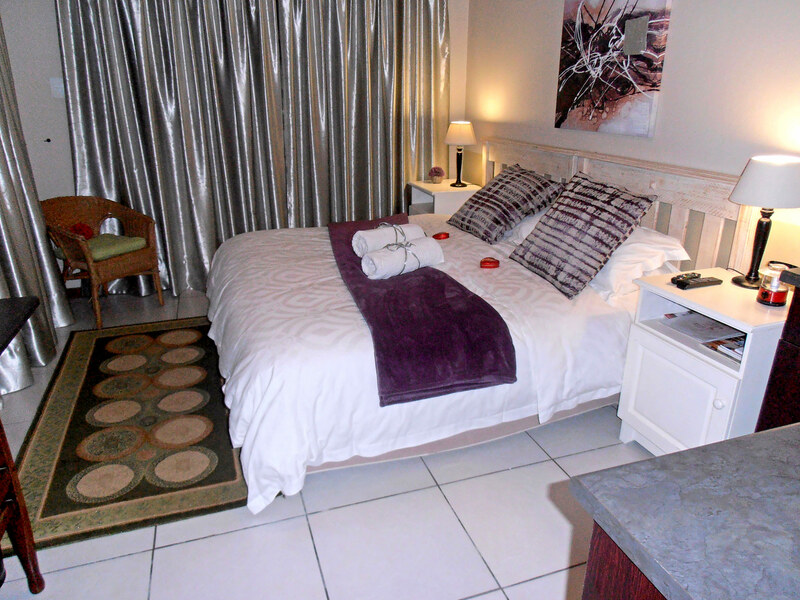 You can relax in our room while taking in the beautiful garden views and the sparkling pool. Sleep off the day in luxurious comfort in-between 400TC fitted and flat sheets topped off with a 400TC duvet cover. 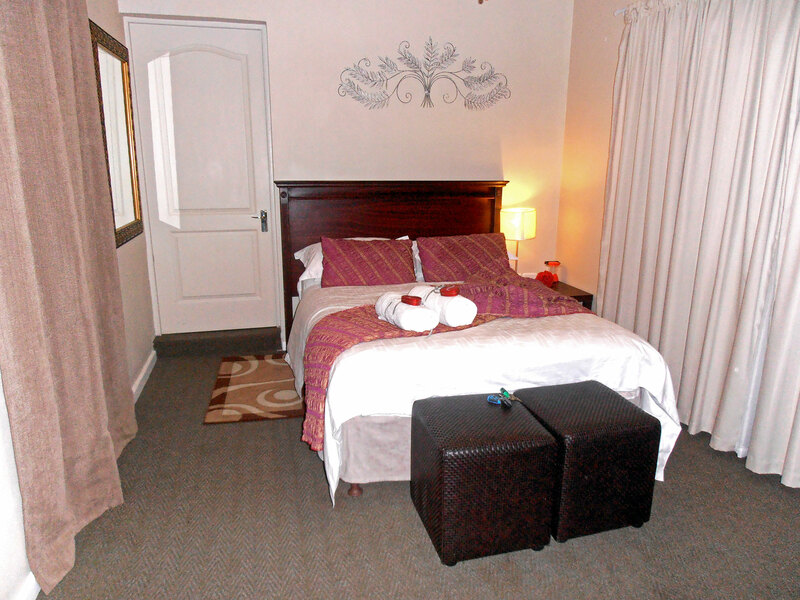 This spacious room sleeps a maximum of two adults and one child less than 4years. 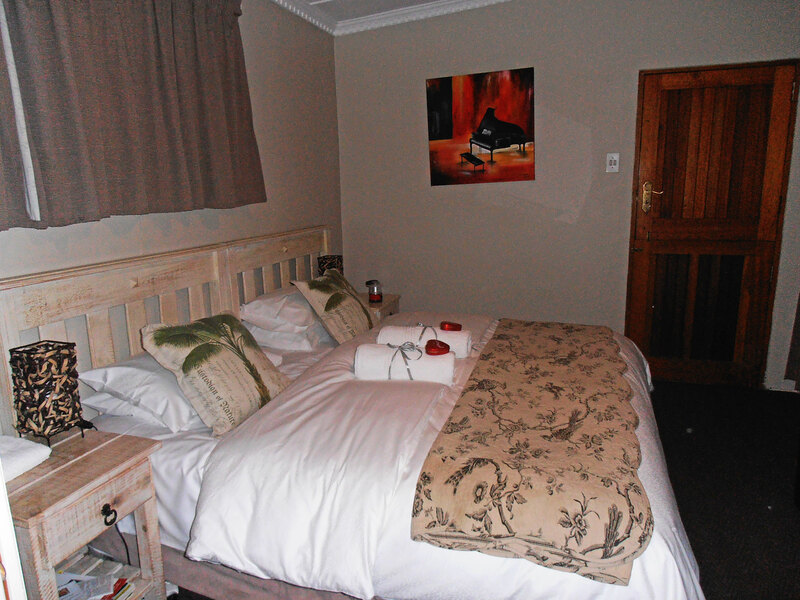 This room has a KING sized bed and a fully-stocked kitchenette with a 2-plate stove with oven. 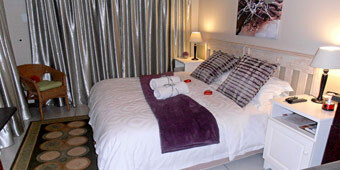 Sleep off the day in luxurious comfort in-between 400TC fitted and flat sheets topped off with a 400TC duvet cover. Please note that breakfast is included in this room’s rate. This beautiful family room sleeps a maximum of four adults/above 4years, and two children less than 4years. The family room had two bedrooms with an interconnecting door. 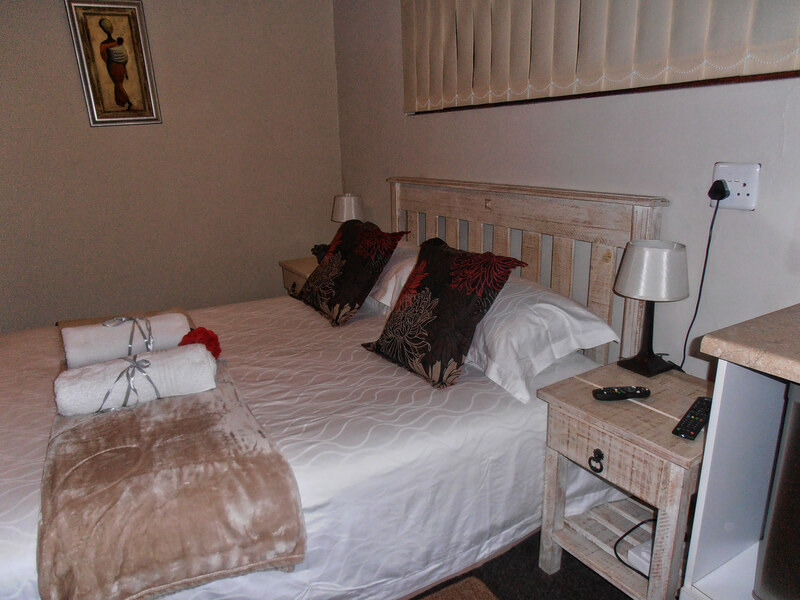 One bedroom has a double bed and the second bedroom has two single beds. A fully-equipped kitchenette makes this unit a self-catering unit. With private outdoor seating, relax taking in the beautiful garden views and the sparkling pool. Sleep off the day in luxurious comfort in-between 500TC fitted sheets and 400TC flat sheets topped off with a 320TC duvet cover, on the double bed.